Christine Delphy is a major architect of materialist feminism - a radical feminist perspective which she developed in the context of the French women's movement in the late 1960s and early 1970s. She has always been a controversial figure and continues to make original and challenging contributions to current feminist debates. In this lucid introduction to Delphy's work, Stevi Jackson explains Delphy's views on patriarchal exploitation, class, gender, and the institutionalization of feminism. 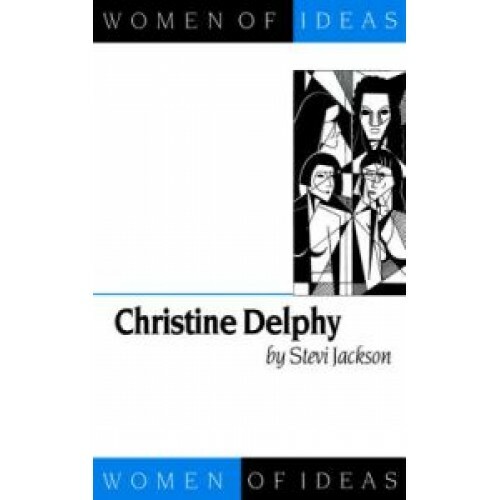 She also recounts the key events in Delphy's life as a feminist activist, setting her works within their social and political context. In addition to providing a clear synthesis of Delphy's work, the book makes a significant contribution to our understanding of feminist ideas and, in particular, the development of feminism in France.